Coziest Holiday Hostess Gift: It’s the holiday season and you know what that means… holiday parties! Going to a great party also means bringing a great gift for the host/hostess. 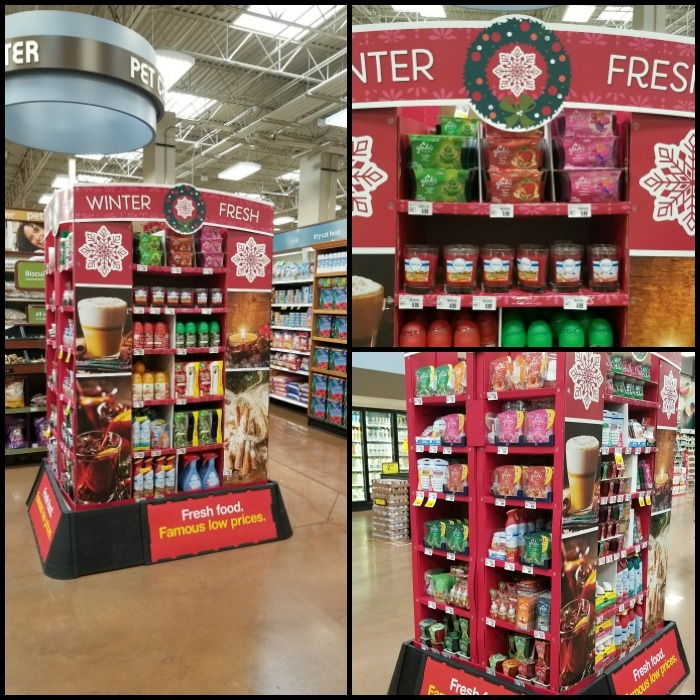 At my Kroger the other day I spotted the Glade® Holiday Fragrances display! Of course I had to smell them all because nothing smells better than the holiday season, am I right? They all smelled amazing. I picked up some jar candles in two scents; Tree Lighting Wonder™ and Cozy Cider Sipping™. I’m telling you, nothing smells cozier than these Holiday scents. 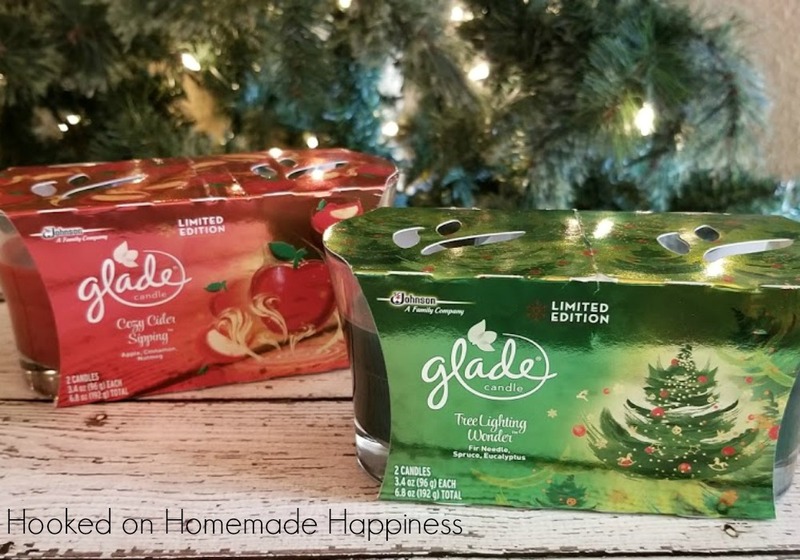 Be on the lookout for Glade® Holiday Limited Edition Fragrances on display at your local Kroger store now! 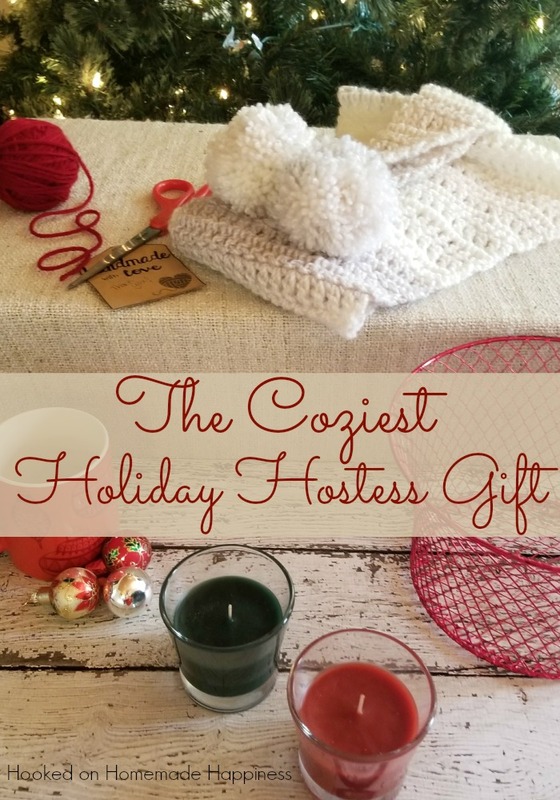 I decided to add these candles to my hostess gift and I also added a scarf to the basket! What could be cozier? 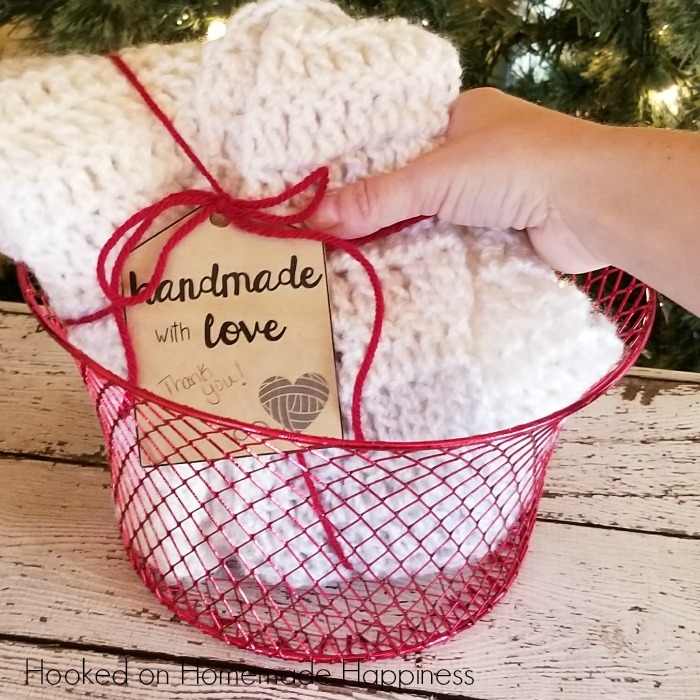 A holiday scented candle with a warm and cuddly scarf. Since the candles come in packages of two, I may or may not have snagged one for myself to enjoy while making this scarf. I lit the Tree Lighting Wonder™ jar candle and the smell of the fir and spruce needles made my heart happy. 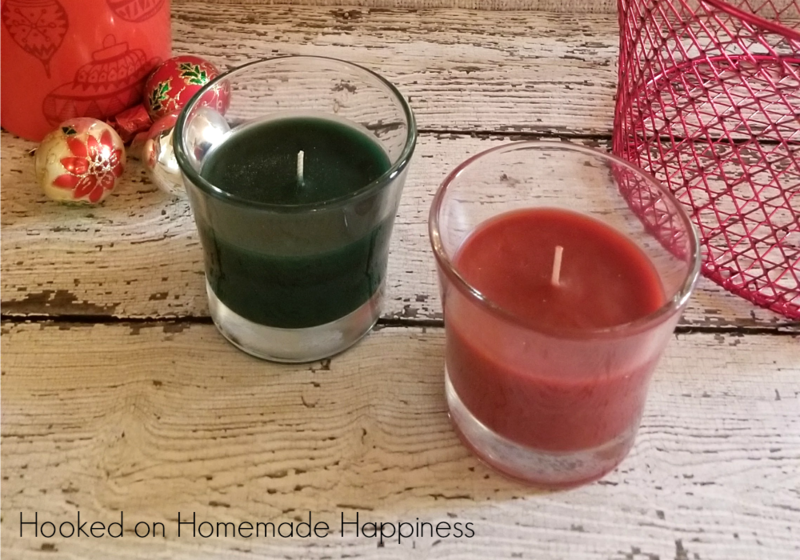 I paired the holiday candle with a cheesy holiday movie and the scene was set for some epic holiday gift making. I loved the beautiful glass container of these Glade® fragrances and how quickly the scent filled the air. The amazing scent lasted the entire time I was making the scarf and it even lasted after I put the candle out! 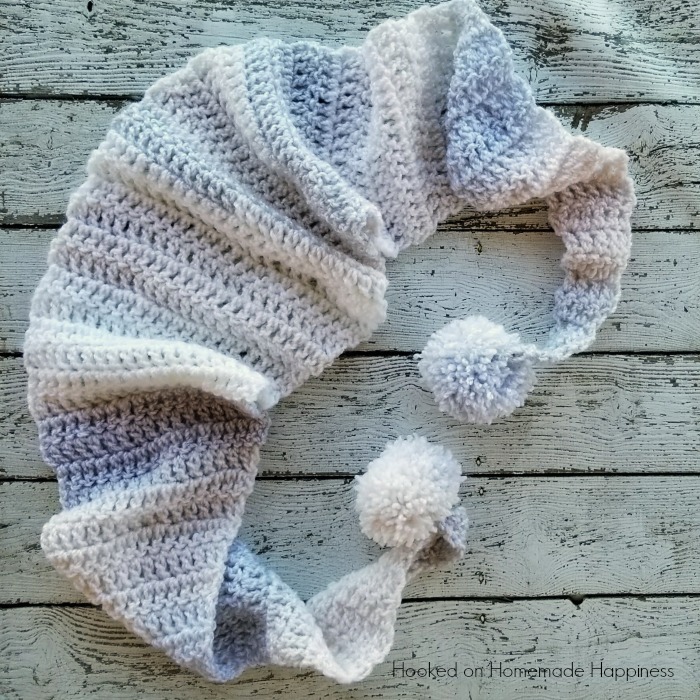 This scarf I made for this gift is different than any I have made before! 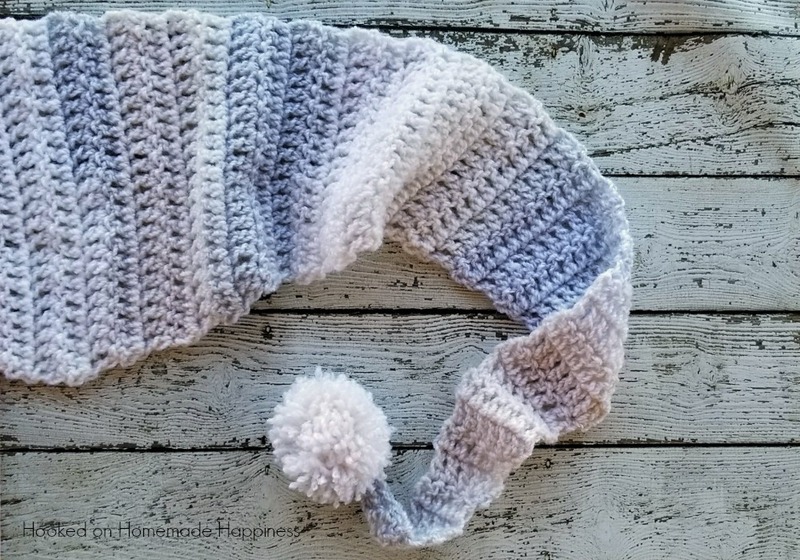 I love the fun shape and the cute pom poms at each end! It starts small, then gradually gets bigger towards the middle then gets smaller again on the opposite side. You can see how one side is straight and the other tapers. 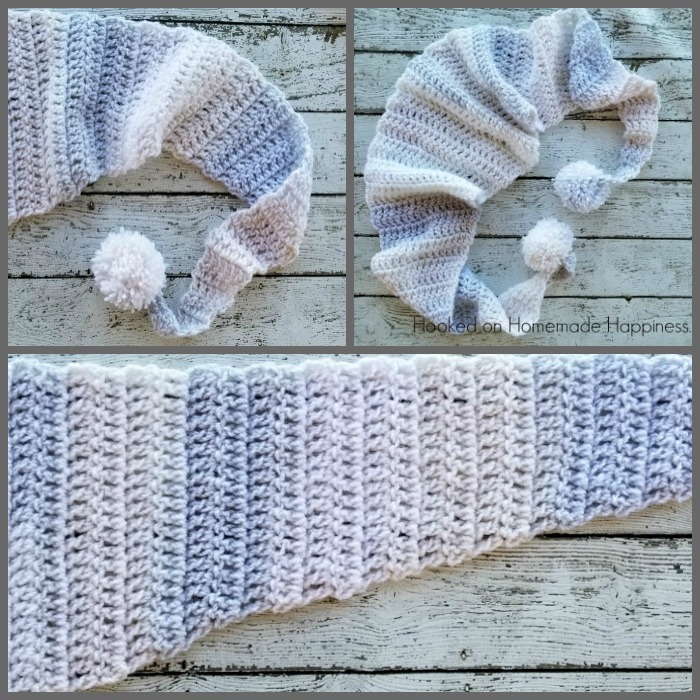 Then I added a pom pom at each end for some extra fun! 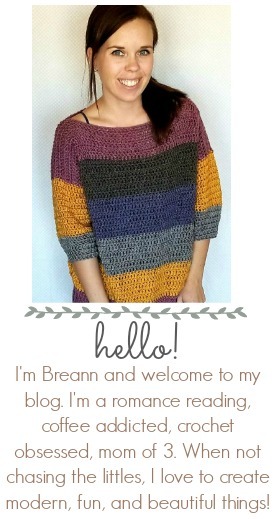 Wrap it with some yarn, ribbon or jute, and a tag. Add it to a basket with the Glade® jar candle and you have the ultimate cozy hostess gift! Add a pom pom to each end.